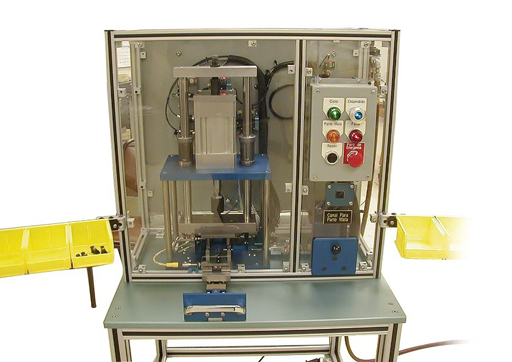 At Beta Industries we specialize in the design and build of bench-top assembly equipment for the medical industry. We provide low volume precision machined prototype parts and we have an extensive machining department. We also provide low volume electronic assembly such as PCB assembly (surface mount and through-hole), wire harnesses, and electrical control panels. Established in 1968, Beta has a wide range of experience providing engineering and manufacturing solutions to industry and government. Beta's services complement customer capabilities during the development process from initial product design through production and test . Beta Industries provides engineering and manufacturing solutions that help customers bring their products to market. Beta's services complement customer capabilities during the development process from initial product design through production and test . Established in 1968, Beta has a wide range of experience providing engineering and manufacturing solutions to industry and government. Established in 1968, Beta has almost 5 decades of experience providing engineering and manufacturing solutions. Our core capabilities range from low volume machined parts, gages, prototypes, and fixtures to design and build of custom equipment. We also provide PCB assembly, soldering, cable assembly, electrical controls, and product assembly. Copyright © 2016 Beta Industries, Inc. All Rights Reserved.